If we can’t get junk collectors, maybe we’ll get garbage collectors. Q: I activate the effect of Garbage Collector, targeting a Lady Debugger on my field. If my opponent chains Raigeki Break and destroys Lady Debugger, how does the effect of Garbage Collector resolve? A: When resolving the effect of Garbage Collector, the effect will not be applied if the targeted Cyberse-Type monster has left the field. Q: I activate the effect of Garbage Collector, targeting a Lady Debugger on my field. If my opponent chains Book of Moon and changes Lady Debugger to face-down Defense Position, how does the effect of Garbage Collector resolve? A: When resolving the effect of Garbage Collector, even if the targeted Cyberse-Type monster is face-down, the effect is applied normally. In this scenario, the targeted Lady Debugger is returned to the hand, and you Special Summon a Level 4 Cyberse-Type monster other than Lady Debugger from your Deck. Q: My Link Spider is in an Extra Monster Zone, and Sea Archiver is in my Main Monster Zone. In this situation, if I Tribute Sea Archiver to Normal Summon a Linkslayer to the Zone that Link Spider points to, can I activate the effect of Sea Archiver that Special Summons it? A: When Tribute Summoning a monster, the procedure is to first Tribute the monster(s), then place the Summoned Level 5 or higher monster in a Monster Zone. In this scenario, since Sea Archiver is Tributed to Tribute Summon Linkslayer, it is already in your Graveyard when Linkslayer is Summoned to the Zone that a Link Monster points to, so you can activate the effect of Sea Archiver that Special Summons it. Q: My opponent takes control of my Flame Buffalo with the effect of Borreload Dragon, and Flame Buffalo is then sent to the Graveyard during the End Phase of the next turn. In this case, which player can activate the effect of Flame Buffalo? A: In this scenario, if Flame Buffalo is sent from your opponent’s field to your Graveyard, you (the owner of Flame Buffalo) can activate its effect. Q: A face-up Flame Buffalo on my field is returned to my hand by the effect of Compulsory Evacuation Device. In this situation, if I activate the effect of Flame Buffalo, can I discard Flame Buffalo itself for its cost? A: If a face-up Flame Buffalo on the field returns to your hand, Flame Buffalo will be a Cyberse-Type monster in your hand, so you can activate its effect by discarding it. Q: If there are 2 copies of Anti-Alian on my field that battled an opponent’s monster during this Battle Phase, can I activate each of their effects that allow me to Normal Summon a Cyberse-Type monster? Q: When Normal Summoning a Cyberse-Type monster using the effect of Anti-Alian, can Solemn Judgment be activated to negate the Summon? A: You cannot chain Solemn Judgment to the effect of Anti-Alian that allows you to Normal Summon a Cyberse-Type monster. When a Cyberse-Type monster is Normal Summoned using the effect of Anti-Alian that was activated as Chain Link 1, Solemn Judgment can be activated to negate the Summon. 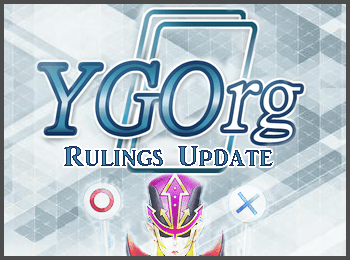 Note that when a Cyberse-Type monster is Normal Summoned using the effect of Anti-Alian that was activated as Chain Link 2 or higher, Solemn Judgment cannot be activated. Q: If Segmental Dragon is the only monster in the Main Monster Zones, can its effect be activated? A: If Segmental Dragon is the only monster in the Main Monster Zones, there are no monsters on the field that can be destroyed by the part of its effect that destroys monsters in the Main Monster Zones with ATK less than or equal to its own. Therefore, in that case, the effect of Segmental Dragon cannot be activated. Q: If I activate the effect of Segmental Dragon, but my opponent chains Book of Moon and changes Segmental Dragon to face-down Defense Position, how does its effect resolve? A: In this scenario, the effect of Segmental Dragon resolves after it is changed to face-down Defense Position, but it is not possible to apply the “destroys this face-up card” part of its effect, so Segmental Dragon is not destroyed. The effect finishes resolving without destroying any monsters. Q: When I take 2000 or more damage, can I activate the effect of Cynet Storm if I only have 1 face-down card in my Extra Deck? A: Even if you only have 1 face-down card in your Extra Deck, if you take 2000 or more damage, you can activate the effect of Cynet Storm. In that case, you do not need to shuffle the Extra Deck and simply reveal that 1 card. If that card is a Cyberse-Type Link Monster, Special Summon it normally. Q: During my Standby Phase, I take 2000 damage from the effect of Forbidden Dark Contract with the Swamp King, and activate the effect of Cynet Storm. If my opponent chains Vanity’s Emptiness, how does the effect resolve? A: When resolving the effect of Cynet Storm, if the effect of Vanity’s Emptiness is applying, the effect of Cynet Storm is not applied. (Do not shuffle the face-down cards of your Extra Deck or reveal the top card among them.) Note that if the effect of Vanity’s Emptiness is already applying, the effect of Cynet Storm cannot be activated. Q: My Decode Talker is in an Extra Monster Zone, and there are no other Link Monsters on the field. If I activate Packet Link, but my opponent chains Compulsory Evacuation Device and returns Decode Talker to the Extra Deck, how does Packet Link resolve? A: The effect of Packet Link Special Summons monsters to Main Monster Zones that Link Monsters point to. In this scenario, since Decode Talker is no longer on the field when Packet Link resolves, there are no Main Monster Zones that a Link Monster points to, and the effect of Packet Link is not applied. Q: My Powercode Talker in the Extra Monster Zone has its original ATK halved by the effect of Shrink. In this situation, if I activate the effect of Powercode Talker that makes its ATK become double its original ATK during damage calculation, what does its ATK become?